Dr. Ravindra Pal Singh, the sole author of the book, is a Research Associate at Kyushu University, Japan. He obtained his Ph.D. from CSIR-Central Salt and Marine Chemicals Research Institute, India. He has been engaged in microbial ecology and bacteriology researches so far. He conducts research into quorum sensing of Gran-positive and negative bacteria and their interaction with seaweed and plant. Particularly, he has expertise in understanding interkingdom communication of bacteria and eukaryotic hosts. During his scientific career, he has been received Senior Research Fellowship and JSPS Postdoctoral Fellowship for Overseas Researchers. His professional memberships include: Japanese Society of Plant Microbe Interactions, American Society for Microbiology, United State and Society for Anaerobic Microbiology, United Kingdom. He is a Review Editor of section of Microbial symbiosis of Frontiers in Microbiology and Frontiers in Marine Science and a prolific writer with several peer-reviewed publications to his credit. Plant makes wonderful association with microorganisms present in surrounding. These microorganisms can injure plants by producing toxins, compounds and enzymes and can alter the normal pattern of plant development by producing plant hormones. It has been realized that bacteria have a unique system of multiplying silently through the phenomenon termed quorum sensing. In general, quorum sensing coordinates the regulation of specific genes, leading to a phenotypic shift, for example, planktonic to biofilm or non-virulent to virulent. It has been determined that bacterial quorum sensing is an important modulator of plant which positively interfering with growth and development as well as assisting during nodule formation with rhizobia via interkingdom signaling system. 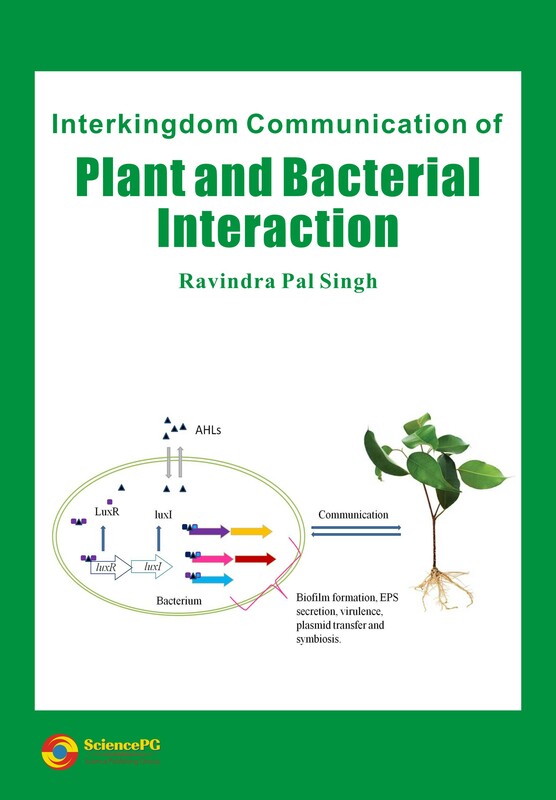 The best thing about this book is that it is combining majority interkingdom communication systems of plant and bacteria in a single book in detail for graduate and post-graduate researchers.